Head to the referral page for full details on the program. If you’ve created a new account, you’ll get your code once you’ve sold at least £10 worth of goods. If you have an existing account and can’t find your code, contact Music Magpie at referrals@musicmagpie.co.uk to request one. Provide your friends and family with the code and request they use it when signing up for a new account. Once they’ve made their first sale you’ll be issued with your £5 bonus! Get hold of your friend’s referral code, see the steps above if they’re unsure what it is or where to find it. Enter this code when signing up for your new account. You’ll be issued with a £5 bonus as soon as your account is created. 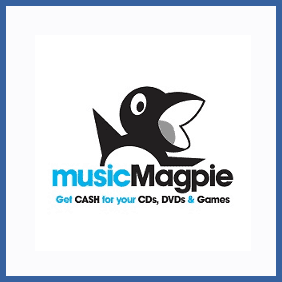 Music Magpie is a great way of selling unwanted CDs, DVDs and games – what you might not know is they’ll also take books, tech, mobile phones and lots of other stuff too. If you’ve got a Music Magpie account and have made a sale, you can refer a friend to get a £5 bonus. To sweeten the deal your newly referred friend will also receive an extra £5 when they sell some of their stuff for the first time.